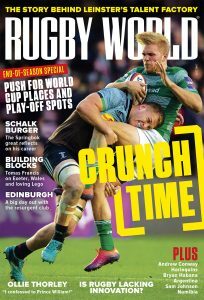 Ireland outplayed Wales in every facet and head to Twickenham in a fortnight with a chance of winning the Triple Crown. The defending champions looked lacklustre and had no answer to Ireland’s driving lineout, which delivered tries for Chris Henry and Paddy Jackson, while their high penalty count allowed Johnny Sexton to steadily build a comfortable lead. 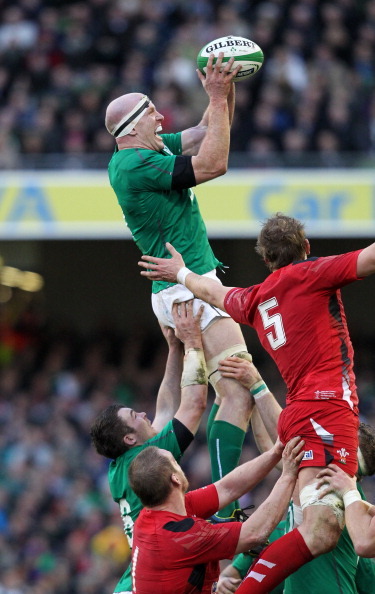 Ireland – Tries: Henry, Jackson. Cons: Sexton, Jackson. Pens: Sexton 4. – This is Warren Gatland’s heaviest Six Nations defeat as Wales coach and he described it as “one of the most disappointing performances since I’ve been Wales coach”. – Wales paid the price for ill-discipline, conceding 15 penalties. – Possession (49-51) and territory (50-50) was an even split – but Ireland were able to do a lot more with it. – Dan Lydiate and Jamie Heaslip topped the tackle charts with 12 while Rob Kearney made the most metres with 79 and Toby Faletau the most carries with 15. – Ireland kicked the ball from hand 46 times compared to Wales 27 and made four line breaks to Wales’ one. – Joe Schmidt admitted that Ireland’s limited game plan was due to the expected downpours that didn’t materialise until late on. – Scott Williams is in a sling after hurting his shoulder in the tackle on Brian O’Driscoll while Dan Tuohy has fractured his forearm. – Ireland, particularly their pack, will take great confidence from this win and will need to produce an equally capable performance against England. Their driving lineout is fast becoming a huge threat to opposition teams and Joe Schmidt will want Peter O’Mahony’s breakdown work to be as effective at slowing down England’s game as Wales’. – Given the forward dominance, Ireland should be looking to do more with the ball. There was a lot of kicking – and in fairness Sexton mixed up his kicks well – but keeping the ball in hand on occasion would bring more variety to their game and that is something Schmidt is sure to be looking for. – Wales will surely be spending a lot of time working on the breakdown over the coming two weeks. They were not able to keep possession for long periods in Dublin and can’t risk giving a dangerous France back-line turnover ball. They also need quick ball themselves, or their own backs become redundant – as they were for large parts of the game here. – They also need to address their driving lineout defence – they struggled to get a handle on Ireland’s dominance in that area and other teams will be looking to target them too – and their discipline. Rob Kearney; Andrew Trimble, Brian O’Driscoll, Gordon D’Arcy, Dave Kearney; Johnny Sexton, Conor Murray; Cian Healy, Rory Best, Mike Ross, Devin Toner, Paul O’Connell, Peter O’Mahony, Chris Henry, Jamie Heaslip. After such an impressive performance, an unchanged – and experienced – team should do well at Twickenham. Martin Moore is pushing Mike Ross hard for the tighthead spot and if Tommy Bowe fires on his return from injury he could come in for Trimble. Leigh Halfpenny; Alex Cuthbert, Jonathan Davies, Jamie Roberts, George North; Rhys Priestland, Mike Phillips; Paul James, Richard Hibbard, Adam Jones, Andrew Coombs, Alun Wyn Jones, Sam Warburton, Justin Tipuric, Toby Faletau. A fit-again Davies returns in place of the injured Williams, James’s superior scrummaging gets him the nod ahead of Gethin Jenkins while Warburton and Tipuric both play in a bid to improve Wales’ fortunes at the breakdown.